God, I love this kid. This Post was posted in Personal and tagged 1431, 2010, birthday, hamoudi, mohammed, seven. Bookmark the permalink. 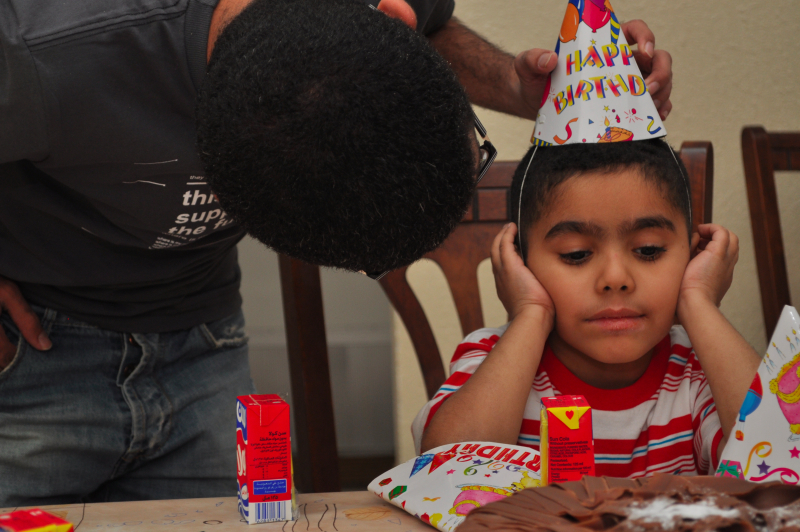 A very happy belated birthday to Mohammed. Kids are growing up sooo fast these days. And congrats on making it into the news in the US and getting your voice heard. Hau’oli la hanau! Happy birthday from Hawaii! I miss that SunCola so much!